Two opposition MLAs, including the Leader of Opposition, waved shoes at one another following heated exchanges on the last day of the monsoon session of the Haryana Assembly. Leader of Opposition Abhay Singh Chautala and five-time legislator of the Congress Karan Singh Dalal were involved in the untoward incident. A resolution to suspend Mr Dalal, which was supported by main opposition INLD, was moved by Finance Minister Captain Abhimanyu over alleged use of derogatory language and misconduct by the Congress legislator and passed by voice vote in the House. During the proceedings, the firebrand Congress MLA from Palwal had a heated exchange with INLD leader Mr Chautala and both stopped short of exchanging blows. Mr Chautala held a shoe in his hand as he advanced aggressively towards Mr Dalal who too took out his shoe as both hurled abuses at each other. The Speaker summoned House marshals to form a human chain around the two legislators. The Congress MLAs including former chief minister Bhupinder Singh Hooda held Mr Dalal’s hands in a bid to prevent the situation from escalating further, reported news agency PTI. 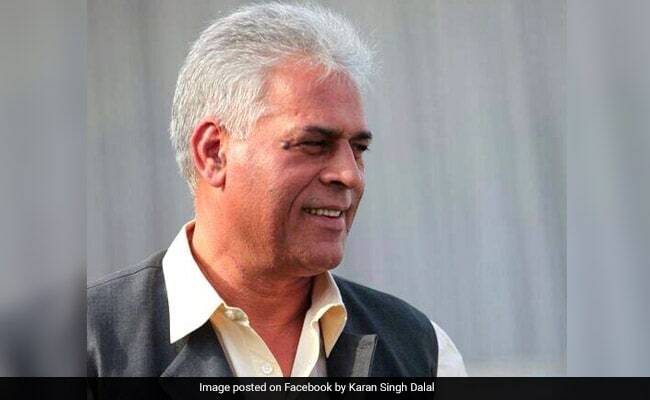 Speaker Kanwar Pal Gujjar suspended Mr Dalal from the House for a period of one year after the ruling BJP objected to a remark made by him during the discussion on BPL (below poverty line) cards being made in Haryana, reported IANS. While Mr Dalal claimed that the word he used was against the government and not against Haryana state, the BJP legislators and Ministers demanded action against him, alleging that he had lowered the dignity of the entire state by using a derogatory word. A resolution was later moved in the Assembly by Finance Minister Abhimanyu which was passed by the House. Congress leaders, including former Speaker Raghubir Singh Kadian and former Chief Minister Bhupinder Singh Hooda, defended Mr Dalal and termed the action against him as unwarranted and in violation of Assembly rules. Mr Hooda said no action was taken against Mr Chautala who brandished his shoe at Mr Dalal. Mr Dalal termed his suspension illegal and said he will move the Punjab and Haryana High Court against it.